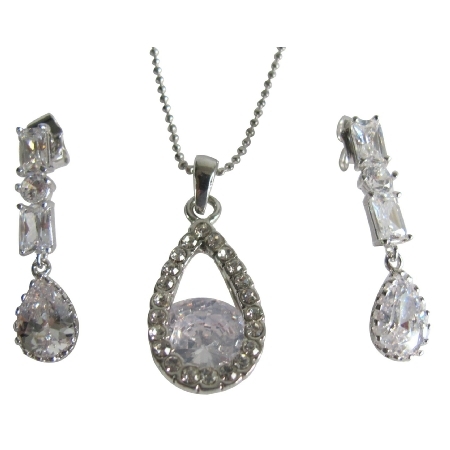 A jewelry set of glamorous necklace with rhinestones teardrop pendant & sparkling earrings. Perfect for special occasions most especially at wedding ceremonies. Perfect bridesmaid gifts prom party or beautiful jewelry for yourself.